Greenville’s Joseph Monge hurdles two Lakewood players on his way to first base. The above photo is quite the capture, isn’t it? 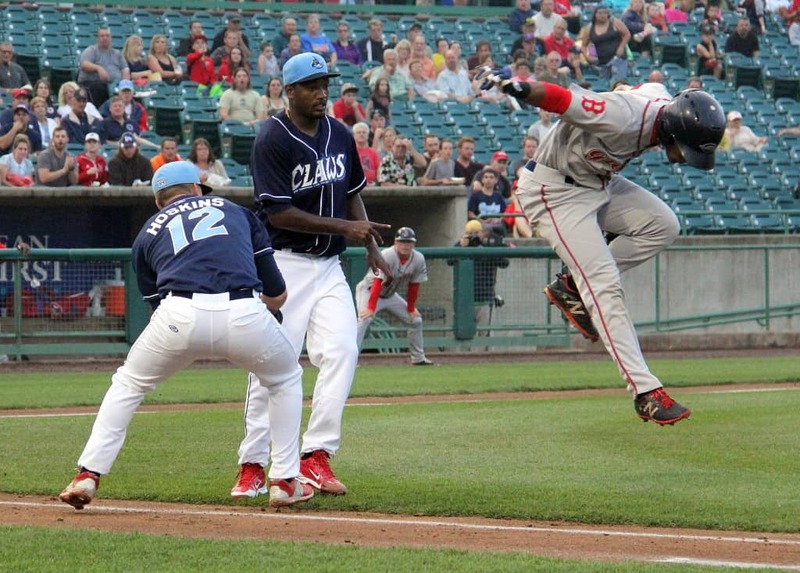 Joseph Monge of the Greenville Drive after he hurdled through Lakewood BlueClaws pitcher Yoel Mecias (who lost his glove) and first baseman Rhys Hoskins. Hoskins fielded the bunt and threw to the second baseman covering first for the out. Wishing I had been ready. I was in the makeshift photo pit at the end of the first-base dugout, but I took a moment to relax and watch the game with both eyes, rather than one eye through the viewfinder. Almost immediately after dropping my camera from my face (not on the ground), Monge bunted. I quickly saw the potential for something unusual, so I whipped the camera back into position, shooting before I even saw what was in the frame. 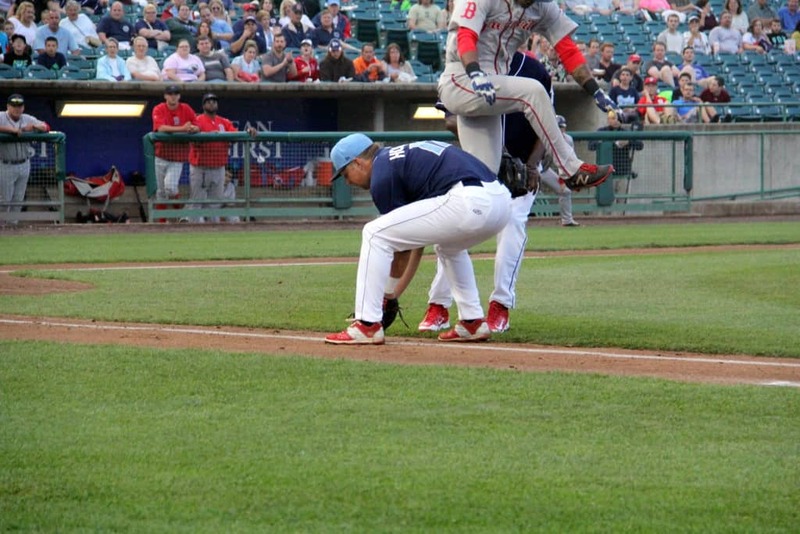 Obviously, I missed the truly great shot, and one before it as Monge goes into his leap. And so I post the missed opportunity here (and on Flickr) as a reminder to always be ready for some amazing action at the ballpark.